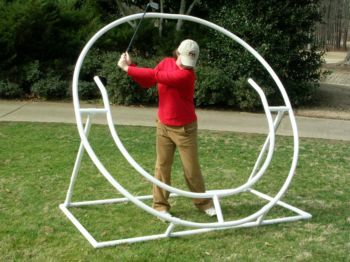 The Swing Plane Trainers permit student and teacher to monitor correct swing plane & shaft angle. By keeping the shaft in continuous contact with the dual arcs, theplayer allows the club to travel on a proper swing plane while maintaining a correct shaft angle. 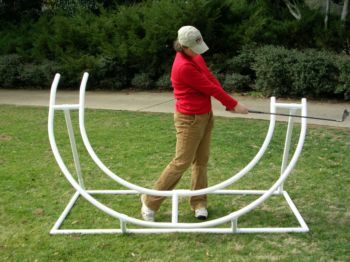 The Swing Plane Trainers permit student and teacher to monitor correct swing plane & shaft angle. By keeping the shaft in continuous contact with the dual arcs, the player allows the club to travel on a proper swing plane while maintaining a correct shaft angle. 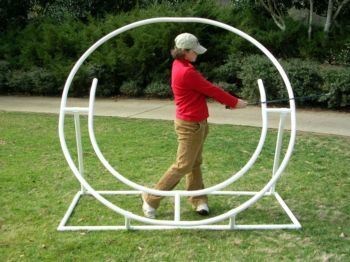 The Pre-Swing Set Up, Arc, and Plane of the golf swing are the most important and basic elements to be learned by the beginner golfer. Just as important are these basic fundamentals for the intermediate and advanced players, to re-train these proper positions of the golf swing. 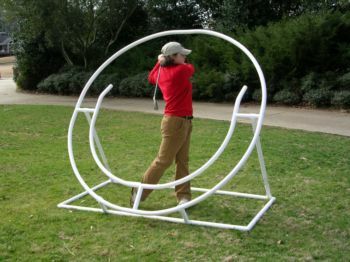 Using the Swing Plane trainer will help create a consistent set-up position and the muscle memory necessary to perform a more repetitive golf swing. 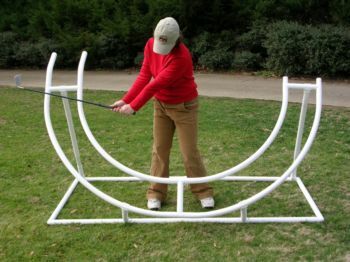 The trainers are adjustable to fit any club in the bag. Keep the club head flush to the ground. 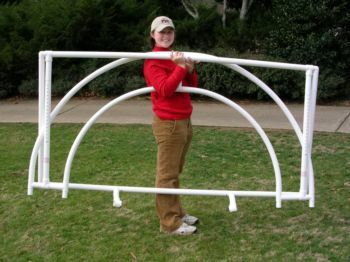 Position the dual arcs so that the shaft is in contact with both arc pipes, in your set up position. 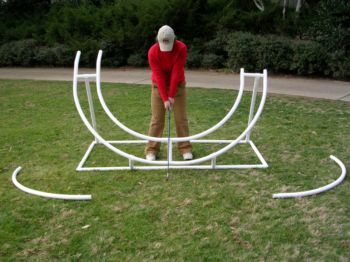 Set your body up square to the trainer, then begin to swing the club back and through making sure that the shaft of the club remains in constant contact with both pipe arcs. Both the Full and Half circle Swing Plane Trainers are constructed from a high impact UV stabilised plastic, making it strong and completley weather resistant. Available in either Full or Half circle options.